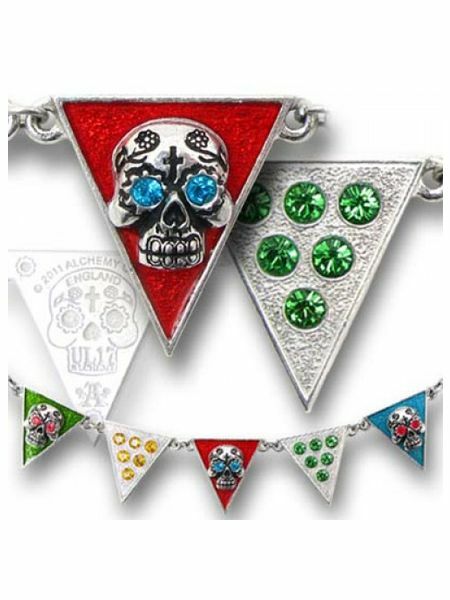 An exquisite necklace from Alchemy's stunning new UL17 range of jewellery inspired by the Mexican resort of Bahia de Banderas which translates as "Bay of Flags". 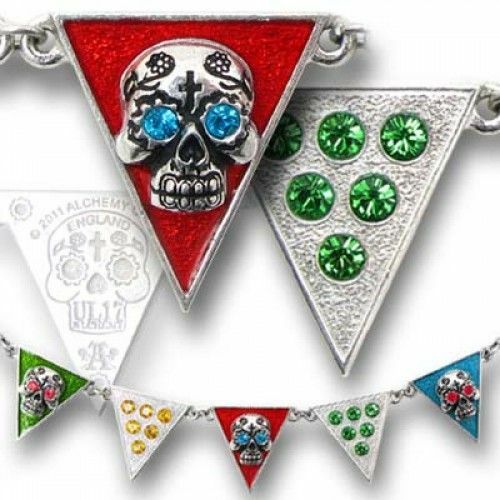 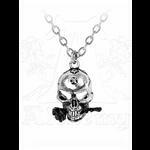 The necklace comprises of five triangular "flags", three with red, green and blue enamelling respectively and with a pewter skull with Swarovski crystal eyes on each. 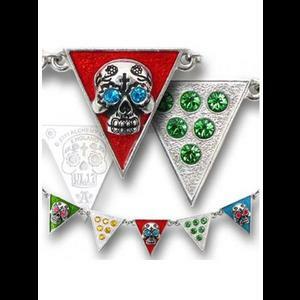 The remaning two flags are encrusted with yellow and green Swarovski crystals and this row of flags has a silver chain attached either side with a claw fastening at the back. 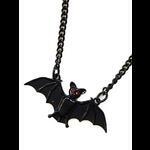 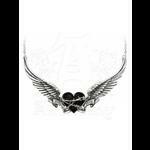 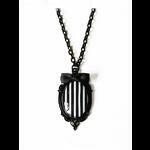 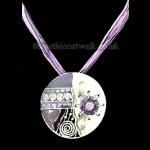 A truly beautiful necklace and sure to become a collector's item.